The 11th Space Warning Squadron, located at Schriever AFB, CO, was established by Air Force Space Command on 1 Oct 1994. Deactivated on 31 Dec 2002. Reactivated on 3 Dec 2007-. The mission of the 11th SWS is to provide “assured” theater missile warning to warfighters worldwide. The 11th Space Warning Squadron is one of several ballistic missile warning squadrons belonging to the 21st Space Wing at Peterson AFB, CO. The 11th SWS, and its sister squadrons, form an early warning network of ground-based and space-based sensor systems that provide worldwide continuous surveillance and early warning of intercontinental ballistic missiles, sea-launched ballistic missiles and theater ballistic missiles. Following Desert Storm, theater commanders recognized a need to more quickly and precisely obtain missile launch data from the Defense Support Program (DSP) satellites to support theater targeting requirements. As a result, the Air Force developed a program called TALON SHIELD which focused on improving DSP sensor processing. One of the first products of TALON SHIELD was the Attack and Launch Early Reporting to Theater (ALERT) system, which would provide continuous global surveillance, early warning of theater missiles and other threats in direct support of warfighters across the globe. When TALON SHIELD was declared operational, the 11th Space Warning Squadron was activated at Falcon AFB (later to become Schriever AFB) on 1 Oct 1994, charged with the mission of operating and maintaining the newly developed ALERT system. 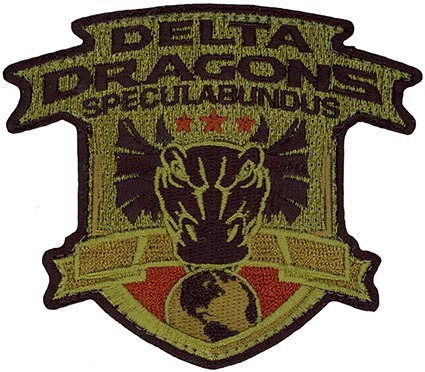 The squadron remained operational until late 2001 when the Mission Control Station was completed at Buckley AFB as part of the transition from DSP to SBIRS. The 11th SWS was reactivated on 3 Dec 2007 at Schriever AFB replacing Detachment 1 of the 460th Operations group. Its mission was to operate a new payload, as part of the SBIRS architecture, that would provide increased warning time and accuracy of missile launches worldwide using a new sensor in a highly elliptical orbit (HEO). The 11th SWS underwent yet another major transition on 15 Aug 2016 as the unit began its transition from Schriever AFB to Buckley AFB with the mission of operating and maintaining both SBIRS and the newly established OPIR Battlespace Awareness Center (OBAC). The current SBIRS constellation provides data that allowed 11th SWS members to report ballistic missile and space launches, nuclear detonations, and infrared data with operational value to the President, Secretary of Defense, combatant commanders, intelligence agencies, and global warfighters. On 1 Jun 2017, 11 SWS achieved yet another historic event for SBIRS as well as for the 460th OG and its SMF program. Foxtrot Crew began the 460th OG’s Space-Mission Task Force (SMTF) combat operations Cycle 2 at the Mission Control Station Backup (MCSB) on day shifts with Echo Crew on swing shifts and Delta on mid-shifts. At the time, a large portion of the squadron members were both first-term Airmen and/or new to SBIRS, so the flight leadership deliberately focused on solidifying critical crew weapon system knowledge as well as improving mission planning and debriefing skills. Effective mission planning processes helped the crews predict operational challenges 72 hours out, and proved highly successful in their processing of 5509 OPIR events, to include several high-visibility, historic mission activities. The focused discipline of the crews was a testament to exceptional leadership at the flight level and set a new standard for SBIRS operations. On 1 Oct 2017, the 11th completed their first Space Mission Force (SMF) operations cycle performing the Spaced-Based Infrared Systems (SBIRS) mission. The 11th SWS operates and maintains the Attack and Launch Early Reporting to Theater, or ALERT, system. ALERT provides continuous surveillance and early warning of theater missiles and other threats in direct support of theater war fighters worldwide.